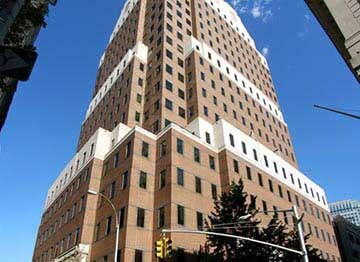 Secure Data Recovery Services provides an extensive set of resources for Brooklyn computer owners through a local office in the borough. As a leading provider of data recovery and media repair, we can restore damaged hard drives and other devices, limiting your downtime when disasters prevent you from accessing critically important files. Brooklyn residents and businesses can depend on our comprehensive set of data recovery services. See some of our featured data recovery services below. In addition to our full accreditation with the Better Business Bureau, we maintain the organization’s highest rating of A+. New Yorkers have depended on the BBB’s promotion of trust between businesses and their customers for decades. Our latest review traces our history of accreditation with the BBB. Thanks to a massive population of 2.6 million, Brooklyn is easily the largest of New York City's boroughs, and the local economy has improved in recent years. Brooklyn is well-known for its manufacturing industry, but the service sector continues to gain ground. We opened our dedicated office in Brooklyn in order to offer with a fast, local source for data recovery, computer forensics, data tape repair and related services for local computer users. We have served hundreds of clients throughout New York City and the United States, and our Brooklyn office can help you avoid substantial losses after any type of media failure. We support all of our services with a no recovery, no service charge guarantee, and Secure Data Recovery Services' credentials are unmatched in the data recovery industry. Modern computer storage devices are extraordinarily complex. Data recovery requires specialized tools and equipment, and providers cannot deliver consistent success rates without regular investments in media repair technology. We recognize this, and our laboratory features some of the most advanced tools available. Secure Data Recovery Services established the first Class 10 ISO 4 Cleanroom in the data recovery industry, and we perform all mechanical data repair procedures in this certified environment. Our Cleanroom helps to protect sensitive media and allows for high success rates for hard drives, solid-state drives, RAID arrays and various other devices. Additionally, our staff includes trained electronic, software and hardware engineers to give every case specialized attention. Our overall success rate is over 97 percent, and we offer services for virtually every type of device and storage system. Secure Data Recovery Services is one of the only companies with a Brooklyn office providing full RAID repair and RAID data recovery services, and our turnaround options give our clients control over their budgets. We also offer expedited options including 24/7/365 emergency data recovery with a same-day average turnaround; speak with a member of our customer service team for more information. Security is always our top priority. Regardless of case options, we always use SSAE 18 Type II SOC-1 certified procedures, and we maintain compliance with the various laws and standards that affect Brooklyn businesses. Secure Data Recovery Services' teams use standardized protocols when handling recovered data, and we offer custom options for high-security cases upon request. When media failures occur, many digital devices become susceptible to mechanical damage, electronic malfunctions and accidental overwrites. This is particularly true when hard drives lose data due to failed internal components. Because thousands of different factors can contribute to data loss, we strongly recommend turning off your device at the first signs of failure. Never attempt to recover your media, as you may cause additional damage or void your product warranty. Find a qualified data recovery provider in Brooklyn as quickly as possible and arrange for a professional diagnosis. Secure Data Recovery Services provides Brooklyn data recovery with controlled security, high success rates and a full array of flexible turnaround options for every budget. We can quickly determine whether files are recoverable on any device, and our standard service features a completely free diagnostic procedure to give you a price quote, turnaround estimate, list of retrievable files and other key information before your recovery begins. I had no idea about how to go about doing any of this so luckily for me when I called Mr Wright answered he must have known very quickly that I didn''t know much.His professionalism was exceptional,he explained the process so easily that it wasn''t hard for me to make my decision,during the course of the project he would follow up with me and let me that I could call him with any questions or concerns,it was a pleasure working on this with him. Rob Anderson was the best rep! Super helpful and accommodating! He explained every part of the process and ALWAYS followed up! He really worked with me one on one to figure out a fair solution. Highly satisfied! Thanks again Rob! Thank you costumer service associate Chris McMacken for your fast response and help, even though my hardrive is broken beyond repair these guys went the extra mile and I was just charged for the shipping. Losing your data is not a great experience; I worked with Fred Wright who was incredibly helpful and accurate in explaining the data recovery process. The cost of recovery was not cheap but 100% of my data was recovered within a few days. The files were formatted for a Mac which was the computer that lost the data but I could not access them on my PC. Fred was very prompt in providing a return label so the data could be reformatted and I received the data via Saturday delivery at no additional cost to me. I would highly recommend them if you find yourself in this kind of bind. Thank you to Nick Totarella in effort to help me through my phone disaster. Despite the result is not what I want, but I am thrilled on the professionalism and communication from Nick throughout the process. Quick respond and outstanding experience with him. I would recommend to friends and family if they need this kind of service. Helpful in Time of Need! I've had a drive that was busted for months and I thought all hope was lost. I spoke with Jeremy Provchy and he really helped get the ball rolling and answer all the questions I had. He made the process super simple and totally transparent. And now I have a working drive! Thanks!